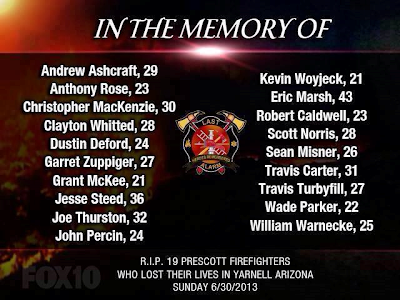 Our sympathies and prayers go out to all the families and friends of the 19 Firefighters who lost their lives in the Yarnell Hill fire this past Sunday, June 30, 2013. 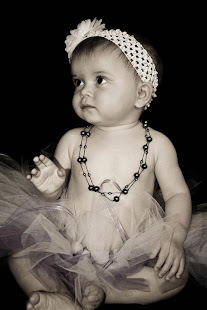 Words cannot express our sadness. To our friends who live in Yarnell, we're so very happy you are okay and will continue to keep you and your friends and neighbors in our prayers as well. Yarnell is a beautiful little place and our hearts ache for those who have experienced the loss of their homes and property. To all the brave men and women who are putting their lives on the line each day to fight this fire and all the other fires here in our state - you have our sincere gratitude and we pray for your safety. So, so sad. So nice of you to honor them this week!